In Nichols v. Fairway Bldg. Prods., LP, a case from the Nebraska Supreme Court, claimant was injured while working as a forklift operator. At the time of the accident, the forklift was on a raised hydraulic lift. The lift collapsed while he was on it in the forklift, and the very heavy piece of equipment dropped about eight inches and landed with jarring force. 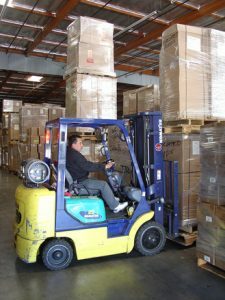 As a result of the forklift dropping, claimant said he had what he described as piercing back pain in his middle and lower back. He said the pain had gotten worse over the course of a few hours, and he sought medical treatment that same day. When he went for an examination, he was given an x-ray, but the x-ray came back negative. However, as our Boston workers’ compensation attorneys have seen in various cases over the years, an x-ray will not always reveal spine problems, since the film only captures bone in most cases. Other tests like an MRI are often better for diagnosing soft tissue injuries and problems with discs of the spine. In any event, once the x-ray came back negative, doctors prescribed pain medication. He was also told not lift anything heavy and to avoid bending or twisting his back in the near future. They also told him to put ice on his back and take non-prescription medication when needed. He testified that the pain got more intense over the next several months and radiated to his legs. He also testified that pain caused him to have trouble holding his bladder and when did urinate, it caused him to suffer more pain. He said he decided to stay at work because he was in a custody dispute at the time and needed to have gainful employment. As the pain increased, he eventually had to have surgery to treat his back, but this was not successful, and he underwent two additional surgical procedures on his back. He filed for workers’ compensation, and his employer denied his claim. At this point, he filed a workers’ compensation case in the local trial court, and a trial was eventually held on this matter. After hearing testimony and examining other evidence, the court found that claimant was in fact disabled. He was given a disability rating of permanently total disabled (PTD) and was awarded disability benefits on that basis. At this point, his employer appealed the decision to the state supreme court on grounds that there was not proper medical evidence submitted to establish the various medical conditions he claimed caused him to be permanently and totally disabled. Fortunately for the claimant, the court concluded that the trial court had properly determined he was disabled. However, the court did adjust the calculations somewhat, which affected the total amount he was due in workers’ compensation benefits. One thing to keep in mind is that even if your employer has no problem with your receiving workers’ compensation benefits, your employer’s workers’ compensation insurance company will often challenge seemingly valid claims to avoid paying money in benefits, because that affects their bottom line.